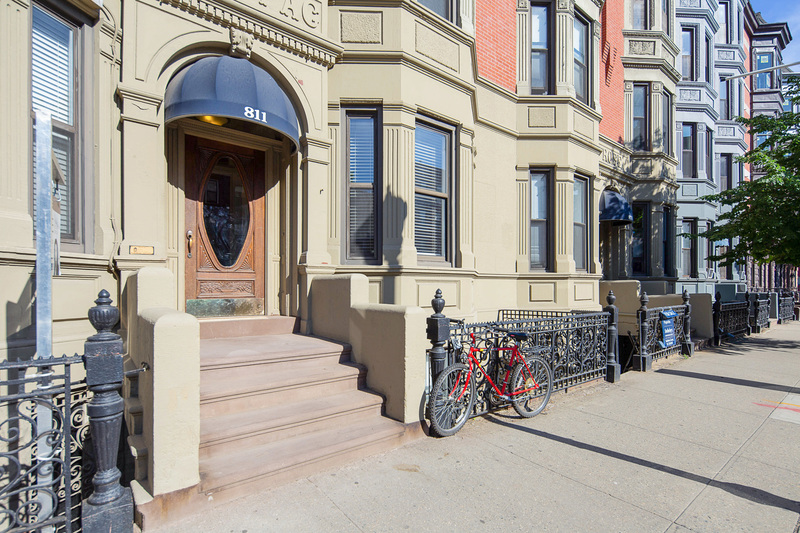 Old world charm at its finest on coveted Washington Street in Hoboken. 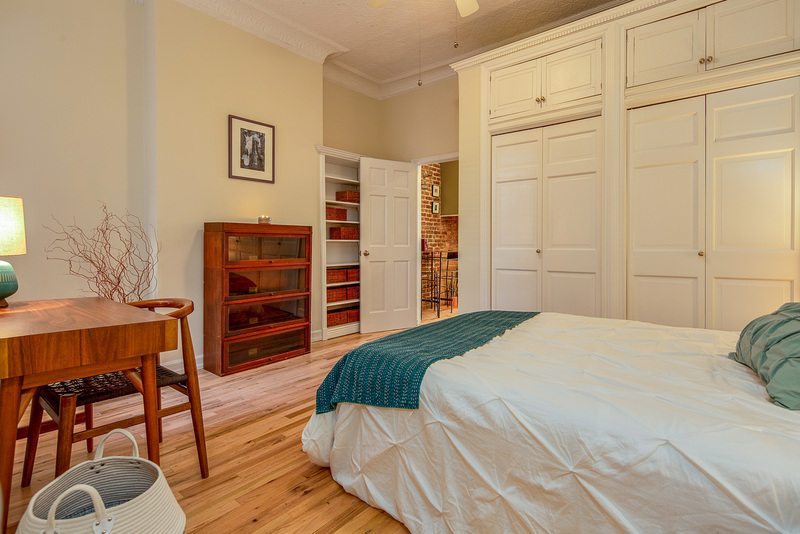 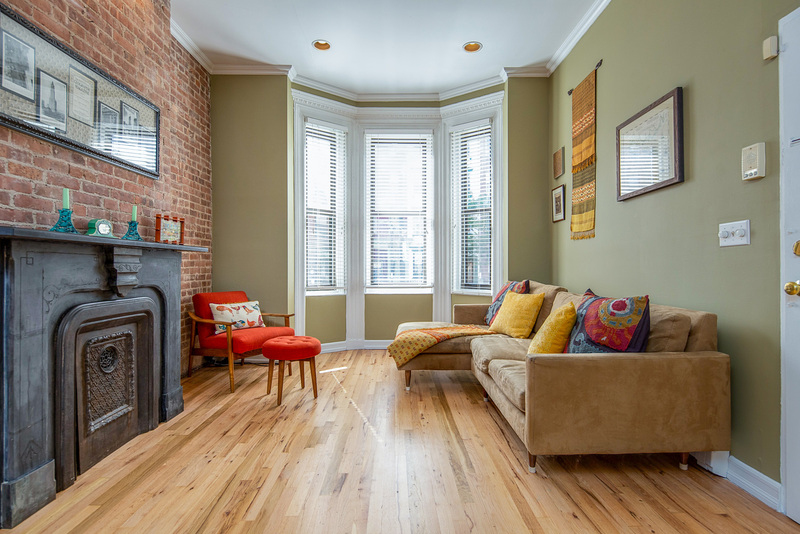 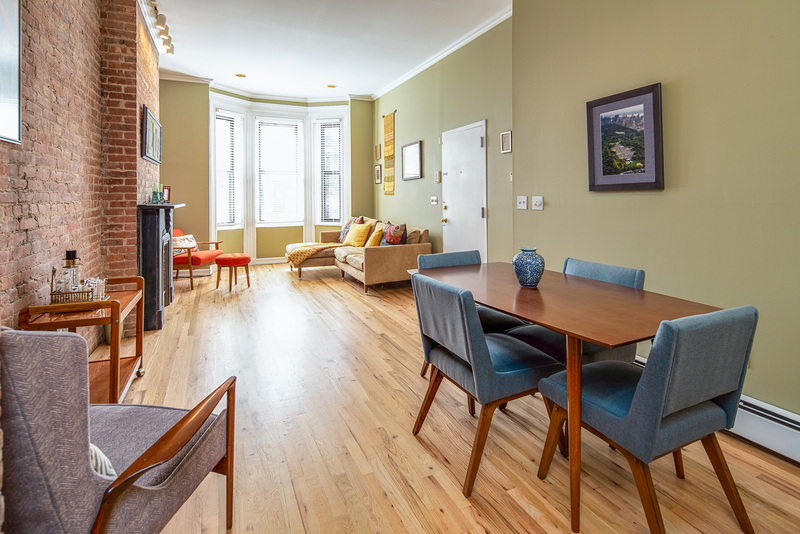 This Parlor level 2 bed, 1 bath condo boasts soaring high ceilings, freshly finished blonde oak flooring, exposed brick and original mantle. 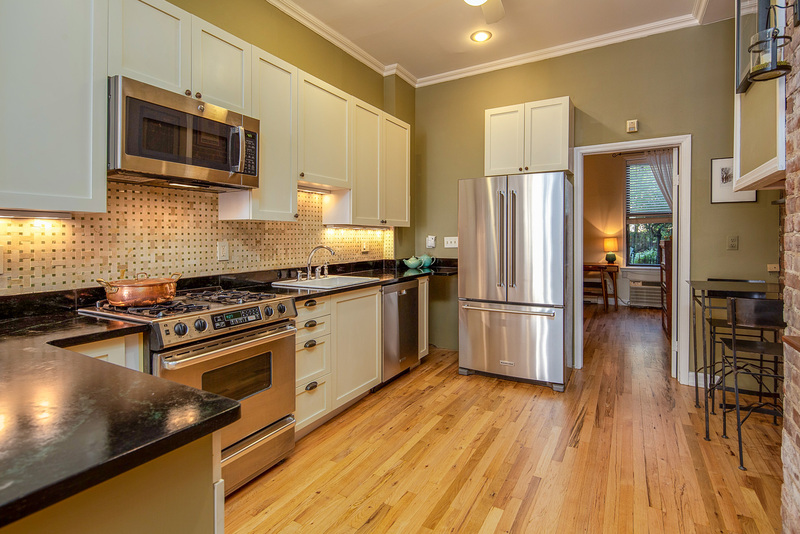 Open concept kitchen features soap-stone counter tops, shaker cabinetry, stainless steel appliances, and under-mount light. 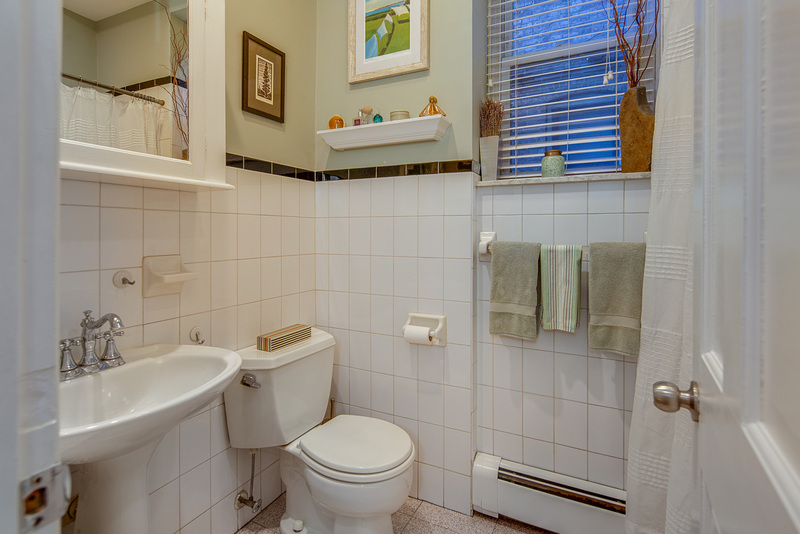 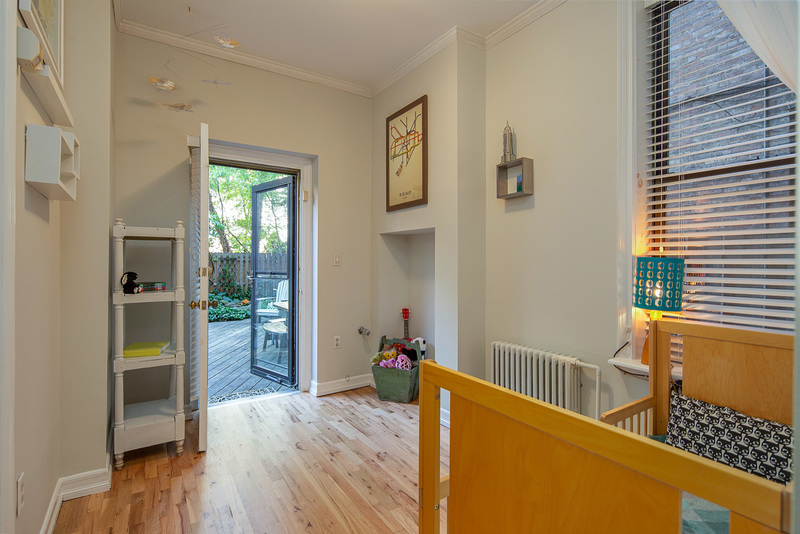 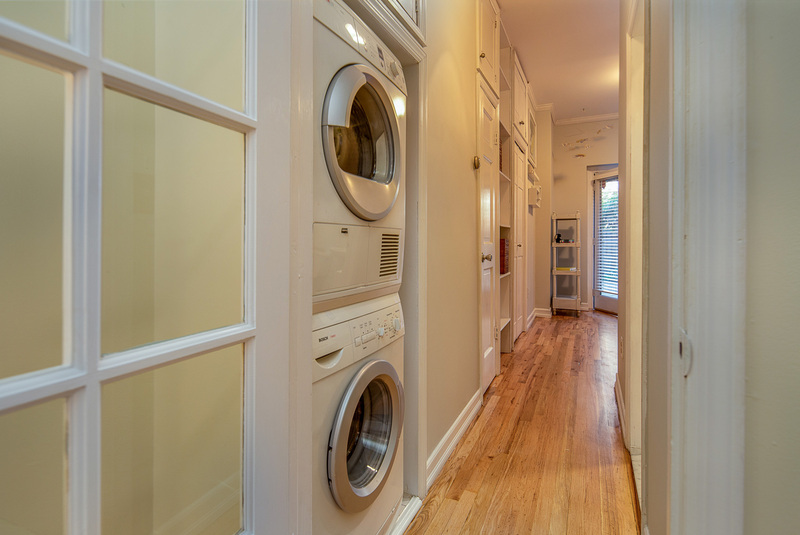 Rear bedrooms offer plenty of closet space and washer/ dryer in unit. 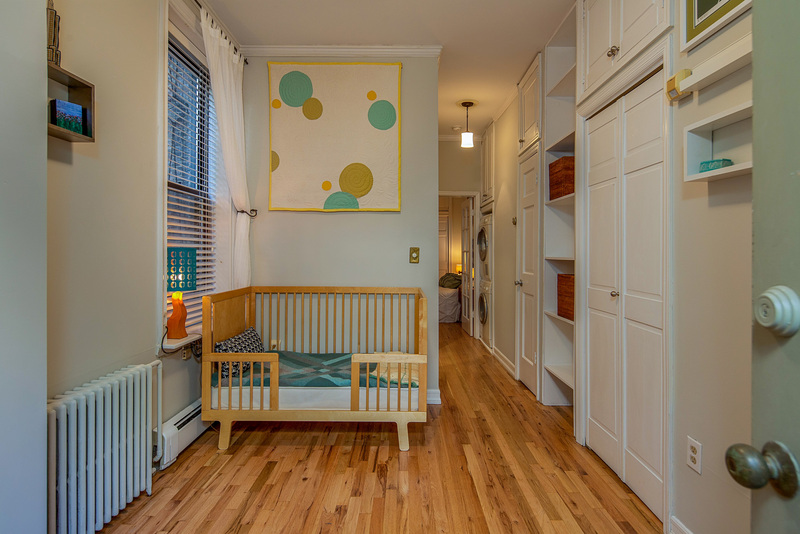 Second bedroom makes for the perfect office or nursery. 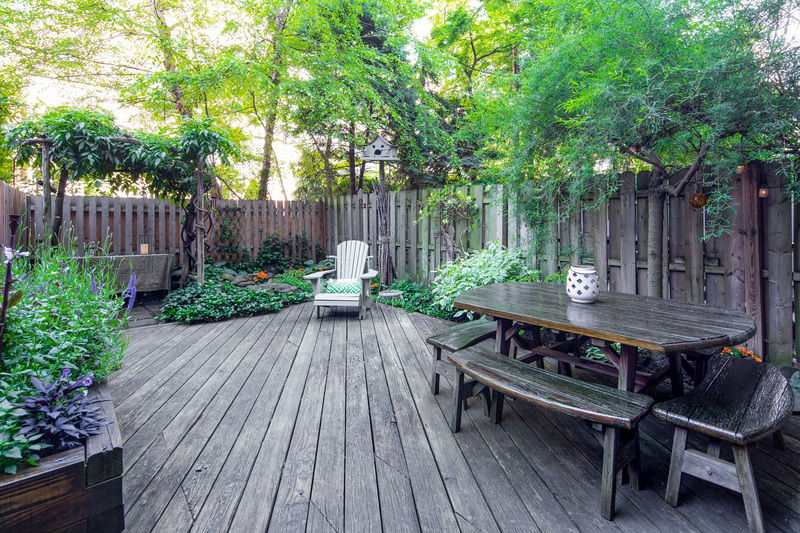 Last but not least, step outside to your private fenced-in yard with its perennial garden, weeping willow tree and a pond for the ultimate relaxed oasis, or for entertaining family and friends. 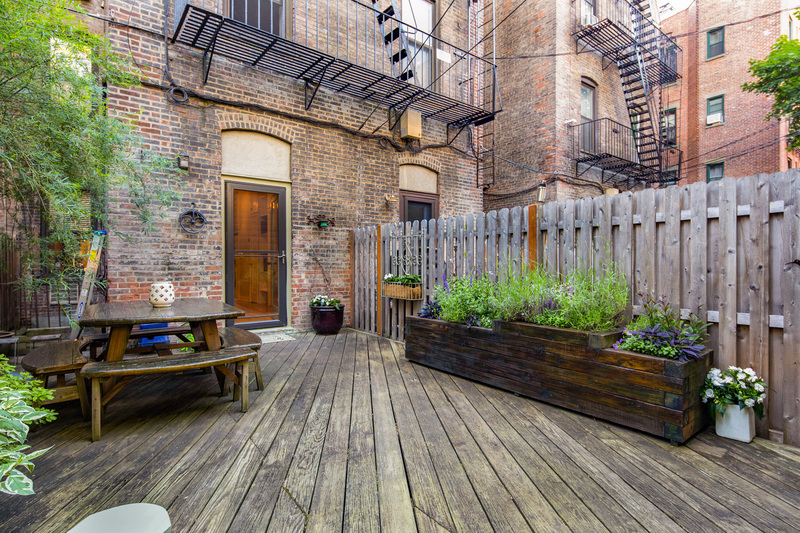 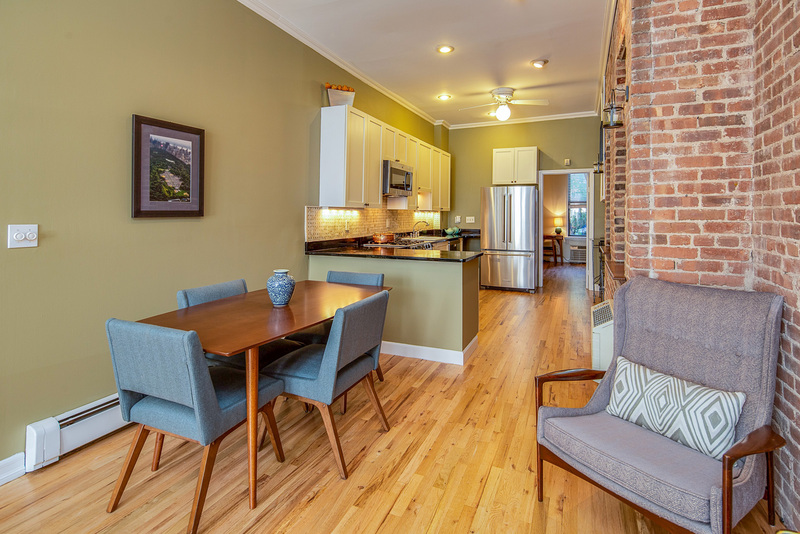 Centrally located in the heart of Hoboken with a NYC bus at your doorstep, restaurants, schools and the epic Elysian Park just one block away. 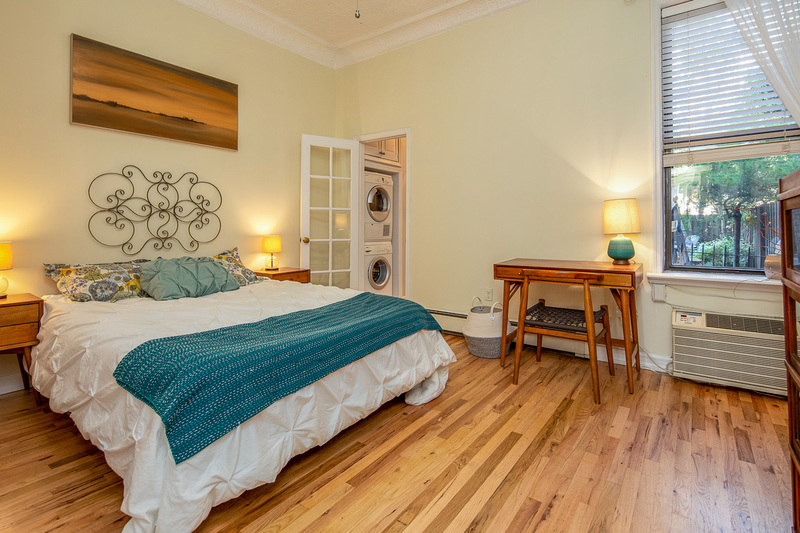 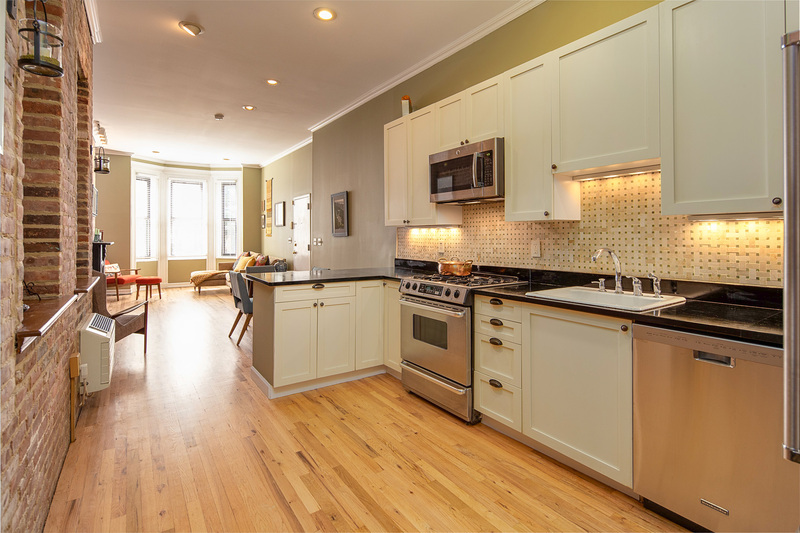 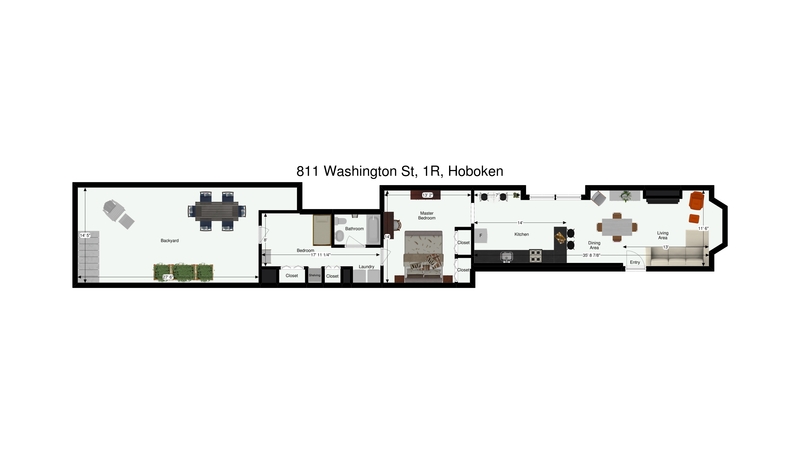 Do not miss this one-of-a-kind Hoboken beauty.